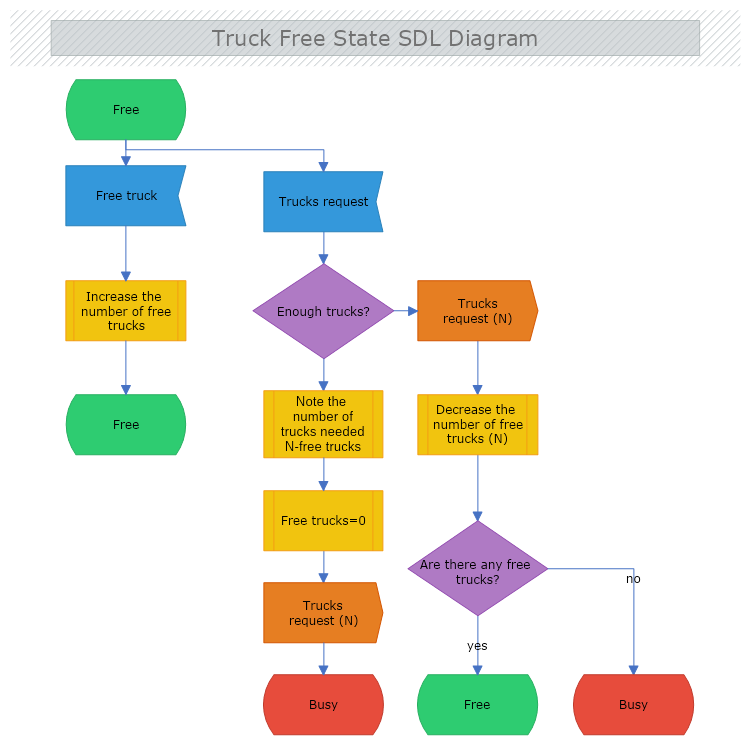 This is a SDL diagram of confirming the availability of free trucks. This template illustrate the procedure of automated checkup of the trucks, their current status, and their availability. Download this free template and modify it with MyDraw so it meets your needs and requirements.